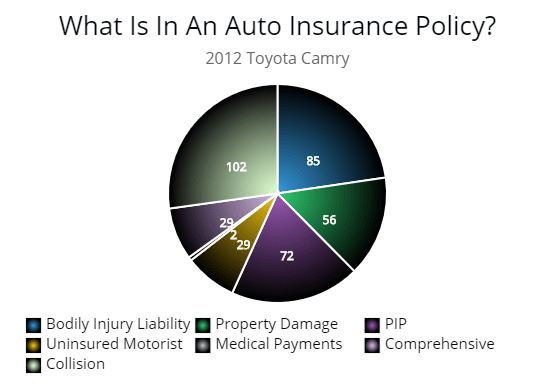 Liability Auto Insurance and a Named Operator Policy? Also Known as a Non-Owners Policy & When Would You Need One? Carrying the minimum amount of car insurance is mandated in all states across the country. The exact amount and type of insurance required varies slightly from state to state. Purchasing the minimum required insurance, however, does not necessarily mean a driver is fully and properly insured. 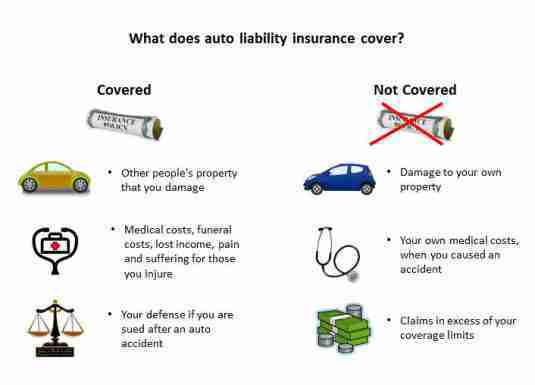 Allstate mentions what exactly is covered with a liability policy. There are several types of additional insurance that most drivers might not be aware of. 2 SR-22 Certificate What is it? What Does it Mean? Covers the costs of paying for the other driver’s vehicle damage and medical bills in an accident. This type of coverage is broken down into two parts. Covers medical bills and costs associated with injuring other drivers and passengers. Maximum payout for each individual injured in an accident. The total amount that your insurance provider will pay out for all damages associated with a single accident you cause. Note: PIP = Personal Injury Protection. Please see table below. Covers the costs associated with repairing or replacing the other driver’s car and any additional property that may have been damaged in the crash such as a trailer, attachments or items inside the vehicle. SR-22 Certificate What is it? What Does it Mean? If you are considered a high-risk driver because you have had a serious accident, DUI or suspended license or multiple infractions, you may need an SR-22 certificate. This is not an insurance policy, but it is an extra court-ordered requirement stating that you have the minimum insurance coverage. It can be worthwhile to purchase coverage limits beyond what is required by state laws. It is important to keep in mind that an accident involving multiple cars or multiple seriously injured people can easily exceed the minimum required coverage. Carinsurance.com is a good resource to determine how much auto insurance to buy. Below are two tables showing the minimum State Coverage for New York and Florida. Then followed with the recommended or excess coverage. If the coverage is maxed, then you may be personally responsible for any additional costs. Most drivers, their attorneys and the insurance companies themselves make every effort to settle a claim within policy limits, but there is no law requiring this. Greater coverage gives you overall greater peace of mind in case of an accident. One of the most common misconceptions about liability coverage is that it protects you and your vehicle. When you buy a liability policy you are covering the other vehicle and passengers. One of the biggest mistakes people make is not having the coverage. Because it is almost always the person who can’t afford an unexpected expense who decides and try and save a little money by dropping coverage. Liability coverage will only pay for the other driver and vehicle, and it only really kicks in if you are at fault for the accident. The insurance system is designed so that drivers essentially cover each other and not themselves. Your vehicle and your injuries are paid for by the other driver’s insurance if they are at fault. This can leave an at-fault driver in a very expensive situation. Their insurance premium will increase because they have paid for the other driver, but they get no reimbursement from their own insurance. It is wise for drivers to be proactive and try to avoid this problem by adding collision, comprehensive, and personal injury insurance to the policy. This coverage protects the policy owner and car from many situations involving a collision with other cars and other objects like trees, walls or garage doors. Personal injury insurance is separate and covers any injuries and medical bills to you and your passengers. This could be considered an overlap with health insurance, which will also pay for these injuries. If you have an optimum health insurance plan, you may not need personal injury insurance but may be a nice add-on to any automobile policy. The one key advantage is that it also protects your passengers in case they don’t have health insurance. This is unique additional insurance that only certain types of drivers may need and can be obtained from a specialty insurance firm, such as Select Insurance Group. It is different from regular insurance in that it is attached to the driver’s person, regardless of the vehicle they are driving. This type of insurance is important for drivers who frequently operate vehicles they do not own either for their job or if they frequently borrow cars from friends or family but are not named on policies for those vehicles. If you don’t own a vehicle but are court-ordered to have a SR-22 certificate, obtaining a named-operator liability policy is likely the best option to fulfill the court order. Having the right amount of liability coverage is the law, but there are nuances to this law and to car insurance in general that are good for all drivers to know. You should know what amounts of coverage you need and what exactly your current policy covers before you have an accident. On 03/29/2017 / Coverage Savings / Comments Off on Liability Auto Insurance and a Named Operator Policy? Also Known as a Non-Owners Policy & When Would You Need One?